CHAMPS Charter High School of the Arts educates, guides and inspires creative and critical thinking through artistic experience. With a variety of arts infused programs to choose from as well as a strong general education curriculum, we meet the needs of all students in grades nine through twelve. 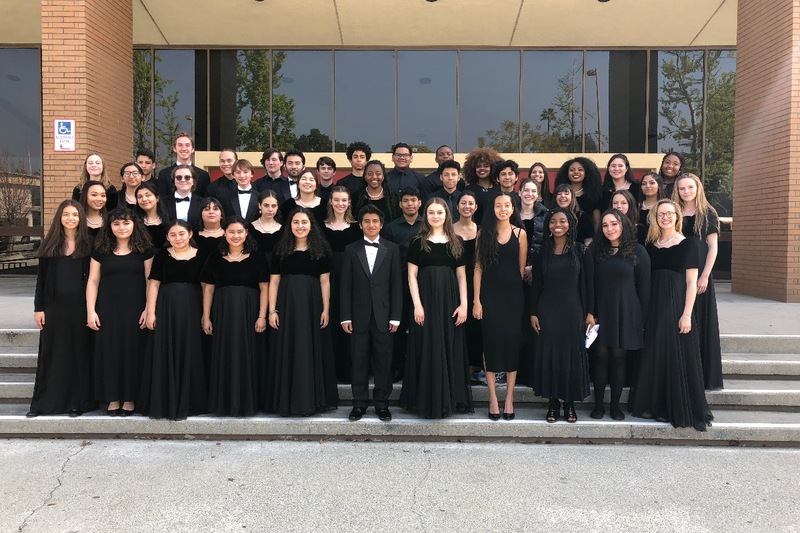 Under the leadership of Mr. Gabriel Salazar, this year's Choral department will venture off to San Diego to participate in the WorldStrides Heritage Choral Festival and Competition. The students will also get to experience a private choral workshop with the School of Music faculty from Point Loma Nazarene in San Diego. This is the very first time the CHAMPS Choirs have ever take a trip out of town. The students have been working hard all year learning their music and raising funds. The total cost of the trip for all 44 members is close to 20,000 dollars. They have successfully raised 15,000 with fundraisers, family support, as well as support from our wonderful school. Please help make this incredible opportunity become a reality for these wonderful students.